Rex Kwon Do Authentic "Napolean Dynamite"! 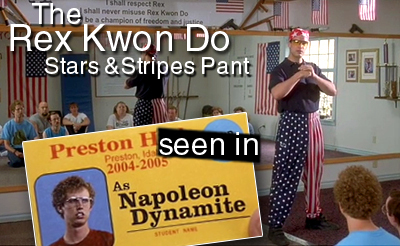 Rex Kwon Do as seen in the movie Napolean Dynamite! Unisex American Flag Baggy� muscle pant is available in sizes XS-XXXL. 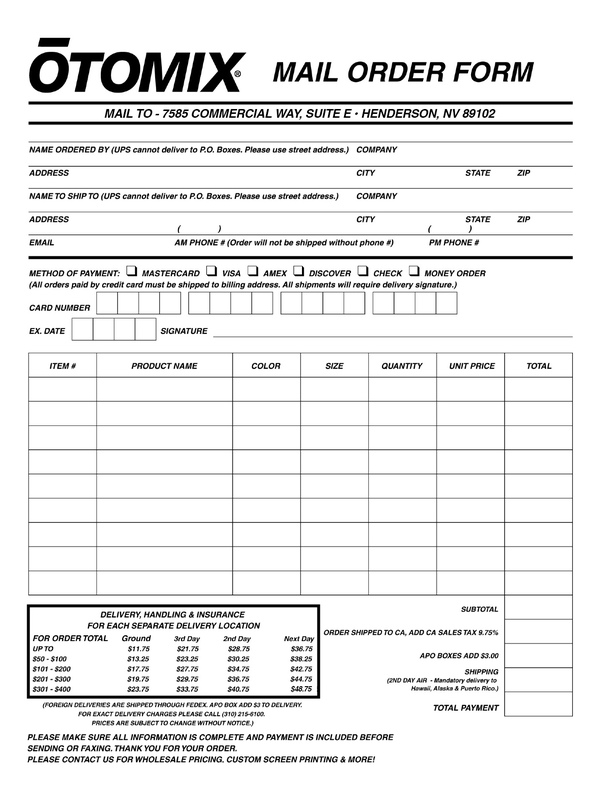 Designed with a 3-inch waistband with a drawcord and side seam pockets. Comfortable and fashionable. Stars & Stripes forever! Kids sizes also available - Call 800-597-5425 Now available on Amazon Prime! Beware of copies, knockoffs or counterfeits. 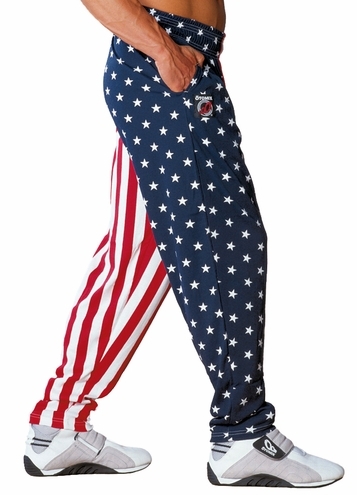 These are the only real Rex Kwon Do Pants Worn by Pro Bodybuilders & Martial Artists worldwide.